Don't Throw Away Your Egg Shells - They Can Be Used For a Healthy Diet! Read Here! Eggs are a delicious staple of any healthy breakfast. However you like them prepared, boiled, fried sunny-side up or scrambled, eggs are a great way to start your day off. For the health conscious, they often separate the egg whites from the yolk and serve them as such. There’s one thing most people agree that’s completely inedible – that’s the egg shells. Practically anyone who has ever prepared an egg will often throw away the shell because it’s unappetizing. Some people believe that egg shells are useless when it comes to a diet. But what if we told you that egg shells are in fact very useful foodstuffs for a healthier lifestyle. In fact, approximately 90% of egg shells are made up of pure calcium. Calcium of course is the stuff that makes our bones and muscles stronger. to benefit you the most. 1. Take around 12 emptied egg shells and place them in a colander. Then rinse the shells thoroughly without removing the membrane. 2. 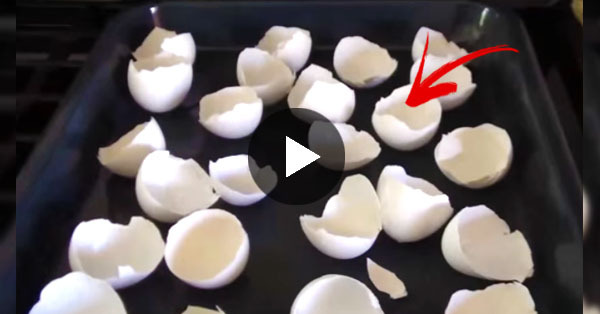 Take the washed egg shells and place them inside a pot of boiling water. Make sure the shells stay below the surface and boil them for a good 10 minutes. This gets rid of any bacteria that may linger on the shells. 3. After thoroughly boiling the shells, scoop them out of the pot and shake any remaining water off. Place the shells on a baking tray then put the tray into an oven set to 400 F. Let the shells bake for 15 minutes. 4. Once the egg shells are adequately baked let them cool to room temperature. Afterwards place the shells in a blender or food processor - blend the shells until they take on a powder consistency. 5. Take the powder and store it in a jar. Now you have a handy, completely natural source of calcium! You can sprinkle this shell-powder on any type of food for that extra bit of calcium! According to The Crunchy Housewife, 1/2 teaspoon of this powder contains about 400 mg of calcium. Watch this video instruction by The Crunchy Housewife YouTube channel for more details! Amazing isn’t it! Let us know what you think in the comments section!